The 2-stroke models of the Midrange series are driven by our proven 3-cylinder power units with loop charging and pulse tuning. It’s a winning formula that delivers both outstanding fuel economy and smooth, responsive acceleration. 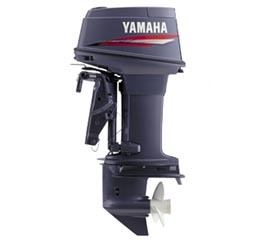 With Yamaha’s Oil Injection System you don’t have to mess with premixing the gasoline and oil. The system constantly monitors engine load to inject the right amount of oil. On the larger displacement models our Microcomputer Ignition System is standard equipment so you can rest assured the engine is always running finely tuned and with optimum fuel efficiency. Ignition timing ATDC 7.0 – BTDC 25.0 deg.